I realise this is a bit late but we have some exciting things coming up soon at Soi 38 so I thought I should send out a little reminder about how delicious Thai noodle soups are. 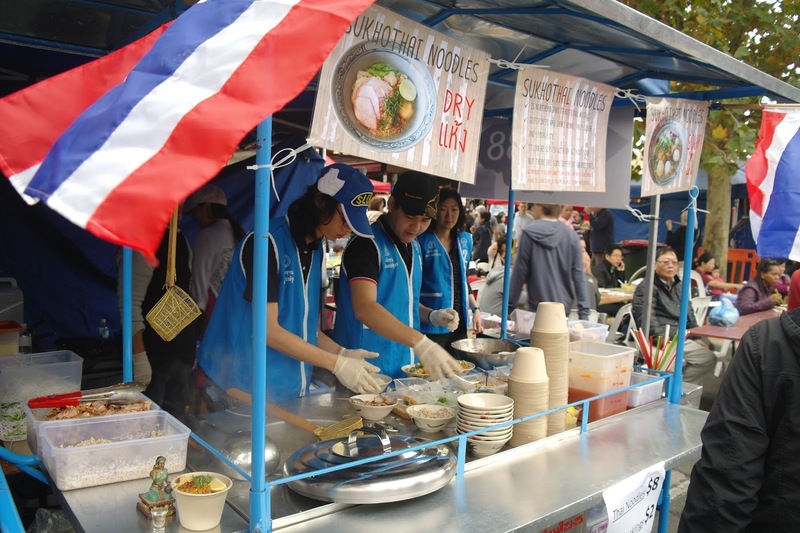 Especially the Sukhothai noodles sold at the Soi 38 stand at the recent Indonesian Festival at Queen Victoria Market. 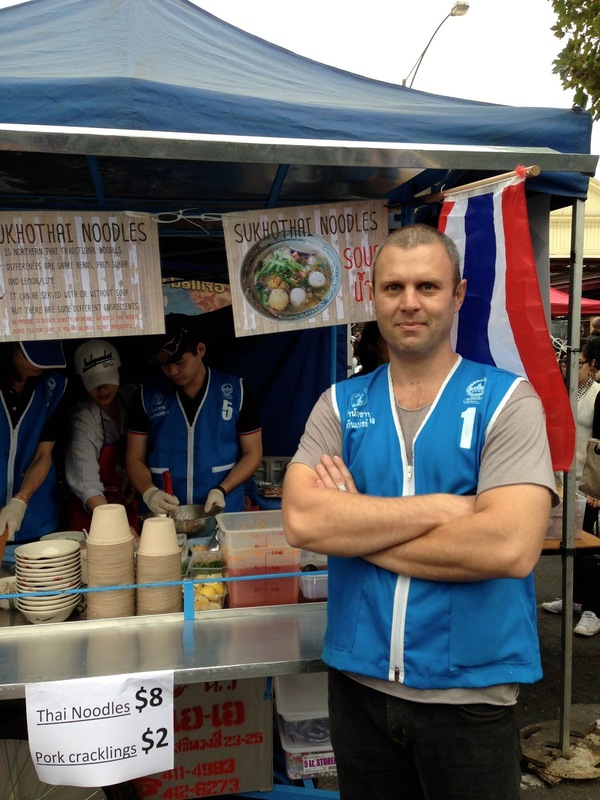 Would you buy noodles from this man? Judging by the popularity of the Soi 38 cart on the day evidently a lot of you would! The soup version of Sukhothai (nahm) was very popular and incredibly delicious. 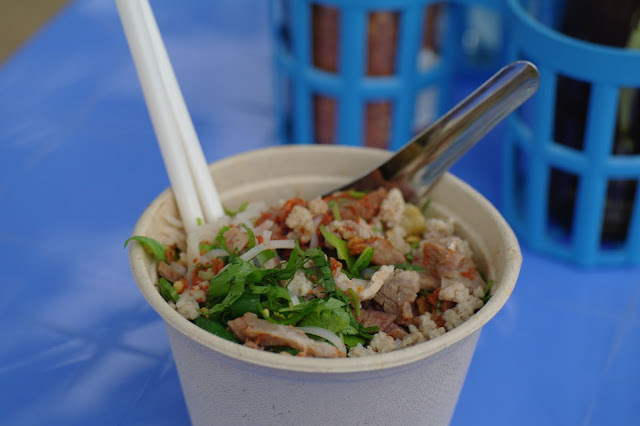 The pork crackle topping is so tasty, you can also see the picked turnip and chilli on the right side of the bowl. The combination of flavours and the sweetness of the palm sugar is really something special. I've said it before and I'll say it again, Pho who? Pho get it! Pho eey!!! It's a knockout win for Sukhothai from this judge. While the soup verison of Sukhothai was superb, the dry version (haeng) was off the scale. Dream's Mum gave Melbourne a once in a lifetime opportunity to sample her family recipe and those who got lucky will long remember how amazing it was. I was instantly transported to Bankok on tasting my first mouthful, you could almost smell the durian in the air! We haven't been lucky enough to get to Thailand this year but tasting this dish was a nice way of getting a small fix of our favourite holiday destination. 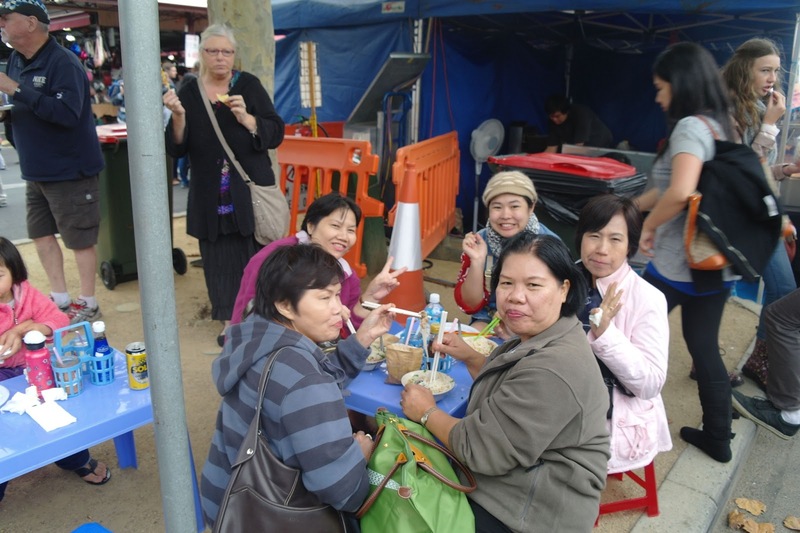 Our good friend Nang Kwak (bottom left) obviously appreciated our offering of Sukhothai noodles and gave her special blessing to Soi 38. Some of our very happy customers! Our good friends Kenny and Benny from Consider the Sauce were also very satisfied customers, you read their review here. 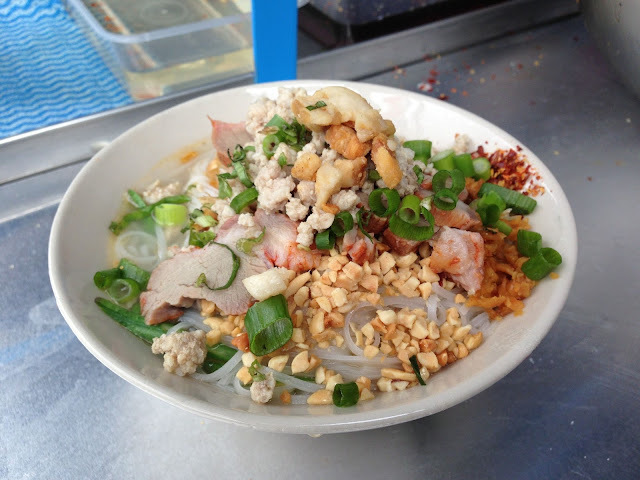 Those who missed the amazing Soi 38 Sukhothai noodles don't despair. We are rolling the cart out again very soon, and this time is going to even bigger! So keep your Friday nights in August free and start stockpiling those $5 notes! Amazing looking noodles! Yes, I missed out and yes I am despairing! Can't wait till August! Giddy up Clive and get that cowboy hat dusted off! We can't wait to serve our latest noodles up to our number 1 customer - The Soi Cowboy! Can't believe we missed it!! We've been hanging for another bowl of your yummy noodles. August can't come soon enough. Don't worry, this time its going to be even bigger and better! 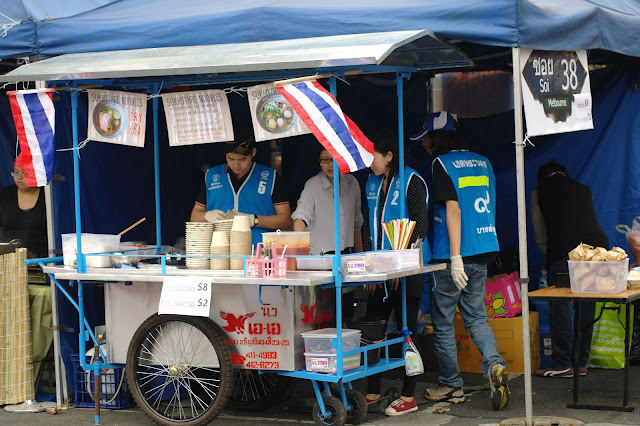 Like the www.facebook.com/Soi38 and you'll be sure not to miss out again.